Naturopathy is a form of healing that considers the whole person — body, mind, spirit, and emotions — in the quest for optimal health and wellness. According to the holistic medicine philosophy, one can achieve optimal health — the primary goal of holistic medicine practice — by gaining proper balance in life. Holistic medicine practitioners believe that the whole person is made up of interdependent parts and if one part is not working properly, all the other parts will be affected. In this way, if people have imbalances (physical, emotional, or spiritual) in their lives, it can negatively affect their overall health. 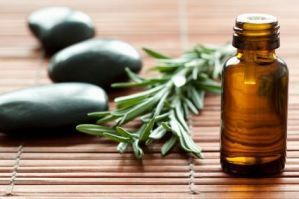 A Naturopath will use all forms of health care, from conventional medication to alternative therapies, to bring about optimal health and wellness. So when a person suffering from migraine headaches pays a visit to a Naturopath, instead of walking out solely with medications, the Naturopath will likely take a look at all the potential factors that may be causing the person’s headaches, such as other health problems, diet and sleep habits, stress and personal problems. The treatment plan may involve traditional or natural medicines to relieve symptoms, but also lifestyle modifications to help prevent the headaches from recurring. - Patient education on lifestyle changes and self-care to promote wellness. This may include diet, exercise, stress reduction methods and more. 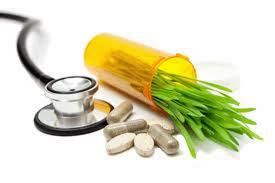 - Prescribed nutraceuticals including organic whole food supplements, glandular, herbs and bio-identical hormones. Professional naturopath committed to giving people a high standard of natural healthcare specialising in Western Herbal Medicine, Nutrition and Therapeutic Massage. She has a compassionate nature and has worked closely with people through times of change, supporting them through both the birth and death processes. Using plants for medicine has been used by all cultures for centuries, not just for healing but also in ritual. Herbal medicine refers to the use of plants either in the form of liquid tinctures, teas or supplements. The therapeutic activity of the plant depends on it's chemical composition and the part used. In many instances the whole plant may be of benefit but often it is only part of the herb such as the flowers, leaves, berries, root, bark or seeds. It is advised before taking any herbal substance that you consult your medical practitioner or naturopath to ensure that drug/herb interactions do not occur. When used correctly botanical medicine can assist within all body systems and a wide range of conditions. Herbal medicine can assist by improving one's natural immunity, help with mental & physical fatigue, improve liver function and detoxification. Cupping is the ancient art of healing therapy used by the Chinese. Cupping therapy applies cups to areas of pain and stagnation within the body and either by heat or suction the skin is drawn into the cup to allow Qi Energy to flow more freely. Cupping is used as an aid to release toxins, activate the lymphatic system and improve circulation. Reiki energy will pass through clothing. The benefits of reiki is only limited to you be open to receiving energy. Bush flower essences are similar to the English Bach Flower remedies being derived from plants and flowers. They work energetically to release and restore repressed negative emotions which cause disharmony on the emotional, mental and spiritual levels of an individual. Flower essences have been used for thousands of years throughout Europe, Asia and Egypt. The Australian Aboriginals also understood the powerful healing property of the Bush Flower.